If your mom is getting to the place where she wants and/or needs to move into a senior living community you are likely experiencing a range of emotions. It is a normal part of the process for the senior adult and close family to take a little time to figure out how to embrace the reality of this type of move. 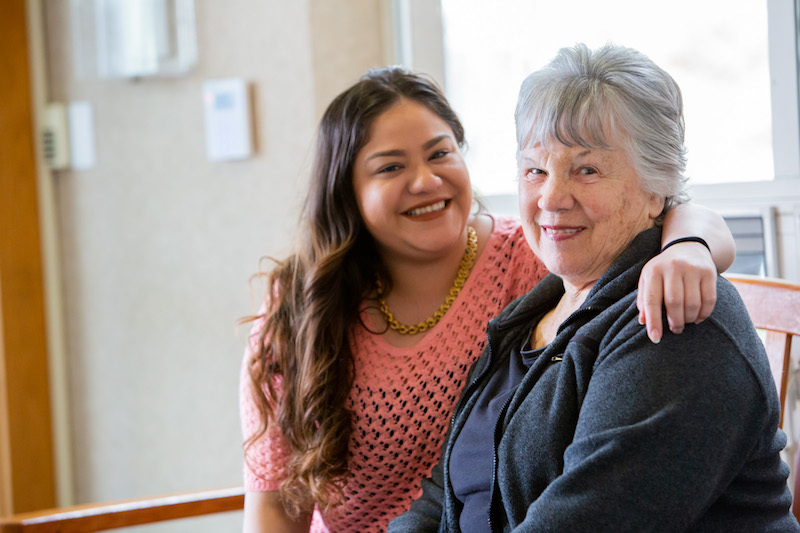 One of the main reasons that adult children of aging parents struggle with the idea of assisted living is their concern about the quality care their mom will receive. In order for you to feel good about your mom making the move into assisted living, you need to have your questions about her care satisfactorily answered. Common questions include: Do all assisted living communities have the same options? How can I be sure my mom will get the care she needs now and in the future? Do all assisted living communities have the same options? On a very basic level you will find similar options in all assisted living communities. In California, assisted living communities are regulated by a division of the California Department of Social Services. The goal of enforcing these regulations is to ‘promote resident independence and self-direction to the greatest extent possible in a residential, nonmedical setting.’ The fact that assisted living communities in California are closely monitored and regulated should be a comfort if you are concerned about your mother’s future care. But, there are some important ways that assisted living communities can differ. One of the most noticeable ways these communities can differ is in the areas of amenities. Some places offer the bare minimum required to comply with regulations while others are more like a cruise ship on land. But, do better amenities have an impact on the care your mom will get? The amenities may not directly impact the quality of care but they will impact her experience which is a very important aspect of doing well in assisted living. How can I be sure my mom will get the care she needs now and in the future? Residents in assisted living communities still enjoy a level of independence. They do not need around-the-clock medical care and can often engage in a number of different activities. People often move into assisted living because there are aspects of living alone that have become too difficult or simply not worth the effort. For example, home maintenance can become too much of a burden even for a healthy and active senior. Assisted living provides a place where your mom can live without the burdens that come with homeownership. When your mom moves into assisted living she will still be able to be as independent as possible while having help nearby as needed. But, the needs of your aging mom will change in the future. How do you make sure the place you choose can meet those needs, whatever they may be? You have two main options when it comes to ensuring that your mom’s future needs are met. Switch to a different type of community, such as skilled nursing, when her needs increase. The other option is to look into continuing care retirement communities (CCRC). These communities offer a wide range of care options on one campus and will adjust your mom’s level of care as needed. It is normal to be concerned about the care your mom will receive when she moves into assisted living. She’s your mom! Do not be hesitant about asking any questions you have as you talk to and visit different communities. Getting your questions answered is the only true way to help your mom confidently choose an assisted living community.